Featuring Blaser Mills, Pinewood Studios, CES Hire, B P Collins, Chiltern Relocation, South Bucks Counselling, Bucks County Museum, Bluebird Care, and Grace Jacob Media. The Commercial Litigation team at Blaser Mills Law has once again been shortlisted for the Chartered Institute of Credit Management (CICM) British Credit Awards for Legal Team of the Year 2018. The CICM British Credit Awards are the recognised standard in the credit and collections industry and rewards outstanding performance and innovation shown by individuals and organisations across the UK. Buckinghamshire Thames Valley Local Enterprise Partnership (BTVLEP) was delighted to welcome the Business Minister Lord Henley to Pinewood Studios recently. The visit was an opportunity to showcase the pioneering work undertaken at Pinewood Studios and the delivery of key growth projects across Buckinghamshire. Lord Henley, the LEP Regional Champion for BTVLEP, was keen to visit Buckinghamshire to witness the major growth plans at Pinewood Studios along with the impressive growth fund delivery by BTVLEP over the past twelve months, including: supporting the National Film and Television School’s 4k Digital Content Training Studio; the A355 scheme to improve north/south transport connectivity to promote economic growth; investment in the University of Buckingham Centre for Entrepreneurship; and transport improvements in High Wycombe town centre. 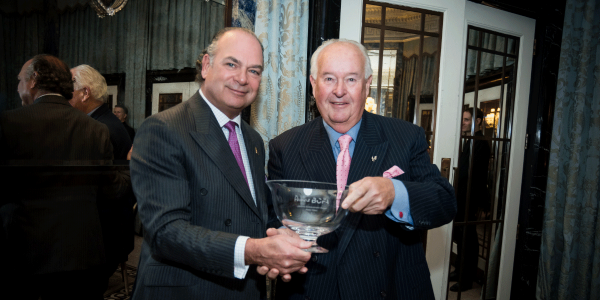 This highly sought-after accolade comes after Craig simultaneously created new law whilst defending his client in a high profile dispute resolution case, managed B P Collins’ private client practice following the departure of its previous practice group leader, and was appointed as a member of the firm’s strategic board - all whilst maintaining top tier rankings in legal directories Chambers UK and in Legal 500, for his dispute resolution expertise. For High Wycombe based firm CES Hire Ltd, 1983 was a significant year that marked the start of a prospering business within the plant hire and construction equipment industry. Founded by Dennis F.B. Rogers, his wife Alma and son Nick, the company's steadfast principles of being fair and friendly have stood the test of time. Nick took over the company in 1994 and has continued to expand the business; he now employs 10 members of staff. Company director Nick Rogers attributes this success to a number of factors: “Much of CES Hire’s success is due to customer service being at the forefront of the company's values; the team all demonstrate exceptional technical expertise and are responsive to their customer’s requirements. Over the last five years CES has experienced rapid growth, expanding both our number of employees and clients. Over the past 35 years CES Hire has prided itself in maintaining the feel of a personable, family run business with its heart within the Buckinghamshire community; from their partnership with local division two football club Wycombe Wanderers FC to their longstanding membership with Buckinghamshire Business First. In fact CES credit Buckinghamshire Business First as being integral to their recent growth and urge other local small businesses to explore the benefits of membership. 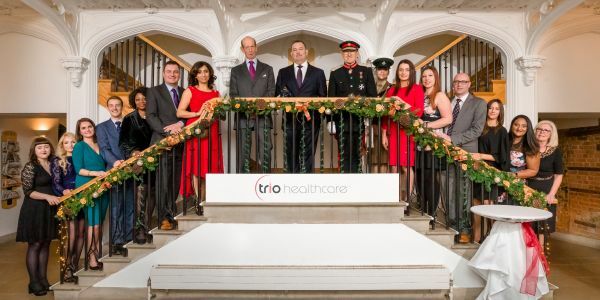 A Beaconsfield based firm has received a business boost from retail entrepreneur Theo Paphitis. 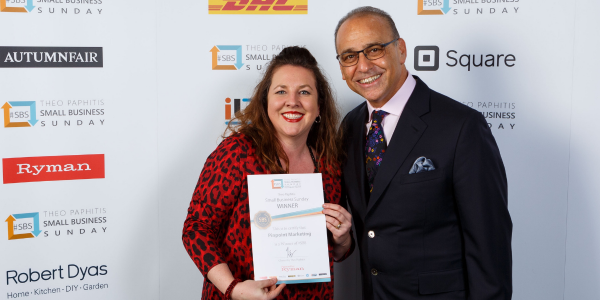 Sharon Hewitt, owner of Chiltern Relocation, tweeted Theo about her business during Small Business Sunday (#SBS) and was one of six weekly winners to gain a retweet by Theo to his 500,000 Twitter followers. The weekly initiative, set up by Theo in 2010, now has over 2,000 #SBS winners and supports small businesses in the UK. South Bucks Counselling is a small High Wycombe-based charity delivering essential counselling support to adults in the community. They are looking for volunteer trustees to support their work. They are particularly looking for HR expertise, but other types of experience are also welcome. South Bucks Counselling is based in central High Wycombe and has been operating for over 40 years providing affordable mental health counselling to those who otherwise would not be able to access help. Please contact andrew.j.wilton@btinternet.com for more information. Bucks County Museum is a registered charity with running costs of £2,000 per day. They are seeking sponsorship and donations from local businesses to help them run a series of shows and events throughout 2018. 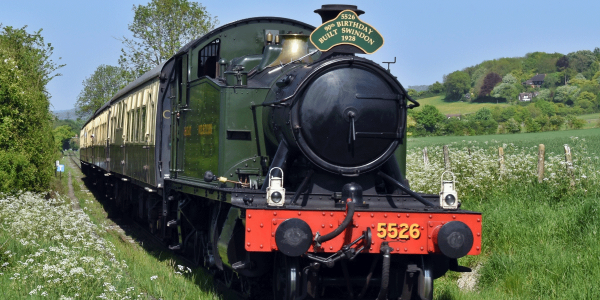 The museum has more than 90,000 visitors each year and admission is through donations, with no set admission fee. CIVILISATIONS: an interactive LEGO brick adventure around the world. Cost of exhibition: £13,000. Expected visitor numbers: 12,000. Paul Kidby: Discworld & Beyond – the art of Terry Pratchett. Cost of exhibition: £1,500. Expected visitor numbers: 6,000. Wonder Dogs – how specially trained dogs help change people’s lives. Cost of exhibition: £1,000. Expected visitor number: 2,000. For more information, please contact Sue Shave, Museum Director: director@buckscountymuseum.org or ring 01296 325230. Last year was quite the year for Bluebird Care’s South Bucks branch. In September, Katy Cresswell, Customer Care Manager, was named ‘Network Team Member of the Year’, demonstrating “outstanding leadership” and “an exceptional, unrelenting positive attitude”. She was selected from submissions from almost 200 offices in the Bluebird Care network. The local office also received the main award of ‘Franchise of the Year’ for the Bluebird Care network in October 2017, as “recognition of the team’s dedication towards its customers, as well as the consistently high level of service demonstrated by staff”. 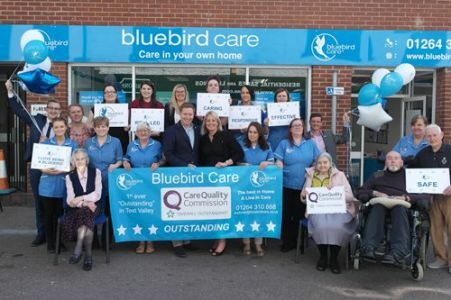 All of this great work was formally recognised by the sector regulator, the CQC, in October 2017 when, following their inspection of Bluebird Care’s services, they were rated as ‘overall outstanding’, placing them within only 2% of all care providers across England & Wales. Grace Jacob Media, based at Stokenchurch Business Park, has made it through to the finals of the Mum and Working Start-up Business of the Year Award 2018. Hosted by Natwest, the awards ceremony takes place in London on March 6th 2018. Our excellent multi award winning service helps companies relocate their staff. Sunday Times and Times Gold Winners for 2 years in a row. We are a leading homecare and live in care provider, delivering the services you want, how you want them, in the comfort of your own home. We offer a variety of brand identity services including website design, hosting, SEO, graphic design, video, photography and print.